I originally got this idea from seeing all of the neat pop art coloring pages on Jenny K's amazing Art Lesson blog. Inspired by her blog, my son and I created this word coloring sheet together. It was nice coloring our pages together. 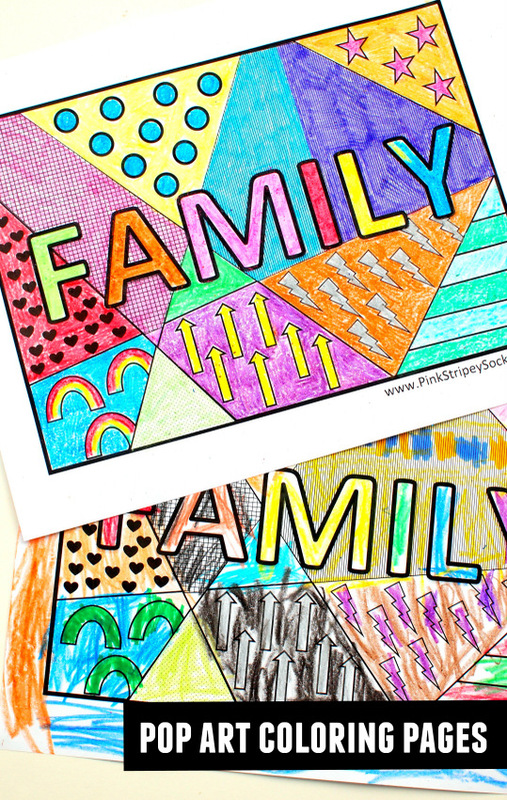 So grab your favorite crayons, twistable crayons, markers, or color pencils and click here to get your free "Family" Pop Art Coloring Page! And check out this Lichtenstein Dot Art post for another easy modern art activity! Looking for some sight word activities? Here are some more easy and fun ways to practice sight words with your preschoolers!